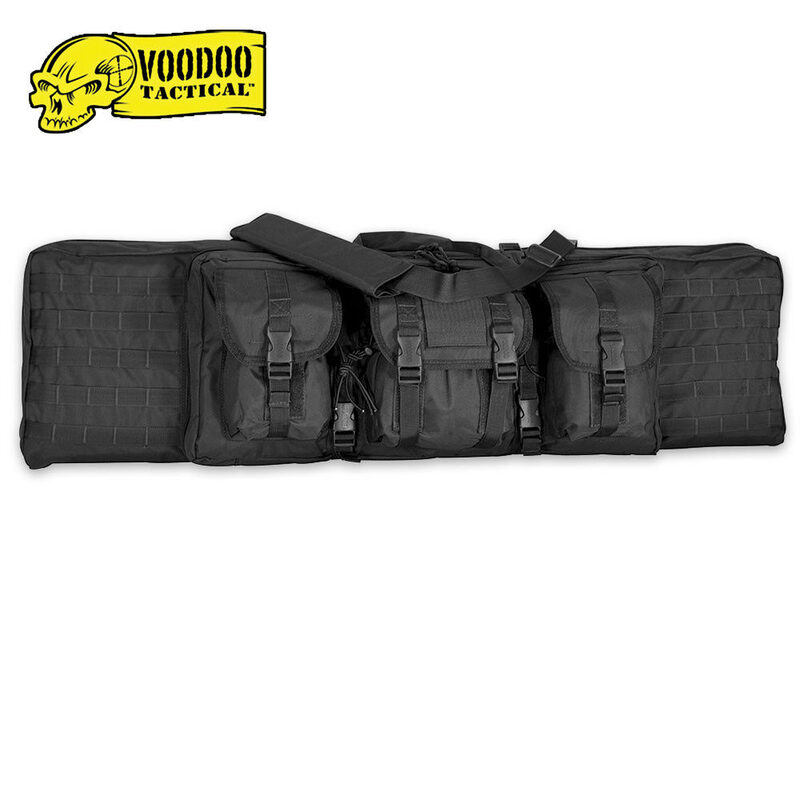 Voodoo Tactical Weapons Case Padded 36 Inch | BUDK.com - Knives & Swords At The Lowest Prices! This Voodoo Tactical™ 36" Padded Weapons Case will accommodate up to 4 weapons. This heavy duty case is constructed of rugged pack cloth and features heavy duty zippers, three adjustable outside accessory pouches, padded carry handles & strap, removable padded harness, padded sides and perimeter, padded divider, inside accessory pockets, and outside MOLLE/universal attachment points. 36" ov.